Create the best Funny Moments with Voicemod and Discord. Would you like to troll your friends with a scary, girl-female or robot voice changer? Now with Voicemod you can change your voice in real time and discover the funnier side of Discord voice chat app. Play with tons of awesome voices and effects and make the funniest voice calls. Voicemod is the best voice changer & soundboard with effects for Online Games & Voice Chat Apps. Download Discord app and open it. At the bottom left side you will find your user information. Go to User Settings. Go to Voice & Video on your App Settings section. Expand the Input Device list and select Microphone (Voicemod Virtual Audio Device (WDM)). Get and install Voicemod app. It is a real time voice modulator that works with Discord and can be used for trolling in a call or in a chat room. Once installed you can select voices and effects like celebrity, deep tones, military radio, space marine, chipmunk, male, female, genji, asian girl or kermit. Use it as a celebrity voice morpher with effects for discord and surprise your community in the chat room or during a call. 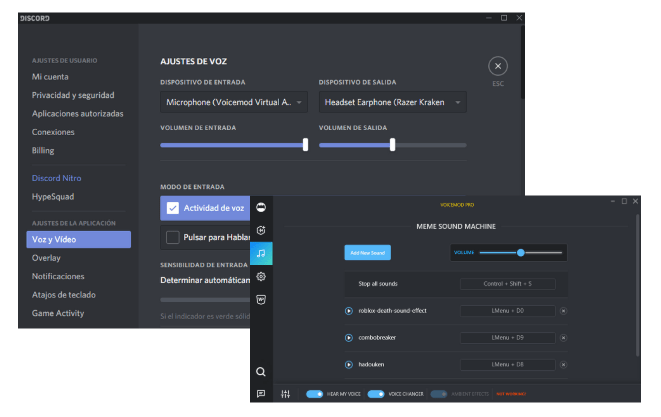 Voicemod the best voice changer compatible with Discord! 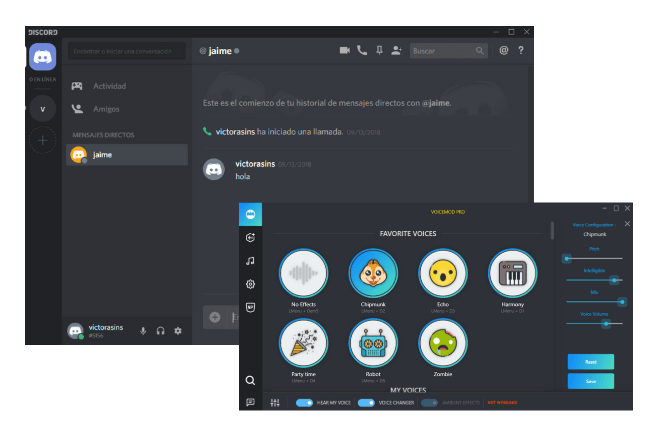 If what you are looking for is the best custom Soundboard for Discord, Meme Sound Machine is the solution. It is a Voicemod functionality that will allow you to load sounds in MP3 or WAV, choose the hotkeys to play them. Instant Sound Buttons with the best sound effects to troll and surprise in chat rooms and communities. Design your own custom soundboard with scary and funny sounds. Download Voicemod software and install it. Install Discord and open it. Go to the User Settings of the chat program. It's located in the left side of the main window. Go to Audio Settings, and select Microphone (Voicemod Virtual Device). In Voicemod select the Meme Sound Machine (sound board) feature. Find and load your favorite sounds and assign them hotkeys. You are ready to troll!